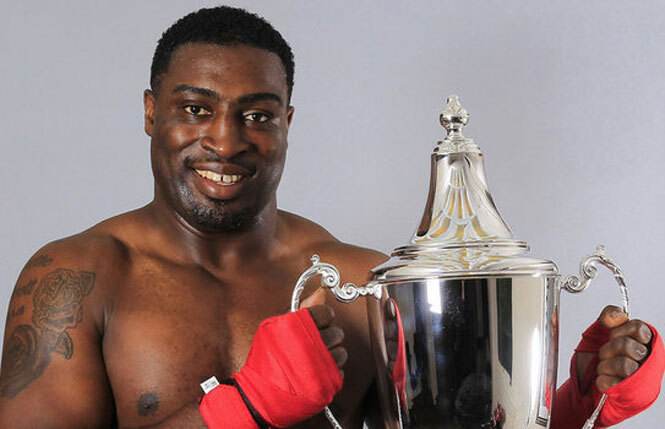 Ringnews24 talks with former British and European champion, Michael Sprott about what he thinks is his best career win, his crowning achievements much more! Can you tell us what inspired you to become a fighter? I was watching boxing with my dad when I was about 8 years old. I watched fighters like Sonny Liston and Muhammad Ali. Ali inspired me to become involved in boxing. You have sparred with a number of big names in boxing. Who would you say was the best you sparred with and why? The best I have sparred with is probably the Klitschko brothers. They are technical and very professional. Their ringcraft is excellent and they were always relaxed. It was a good learning experience for me. What would you say was the crowning achievement in your career? Probably winning the British and Commonwealth titles and knocking out Audley Harrison for the European title. You have fought in many countries and venues during your career. What would you say was the best country and venue you have fought in? What would you say was your best career victory? Who would you say was the hardest puncher you have fought? I’ve fought so many fighters. (laughs). That is a hard one! I can’t really pick one. What do you think about the state of boxing now? Is it on the up? For a while I thought to myself that boxing had gone downhill slightly. When Me, Audley Harrison and Danny (Williams) were fighting, that was the last of our generation. But it is now starting to pick up now we have Anthony Joshua. Now that he has just won the world titles it will pick up now! What is your assessment of Anthony Joshua after his win over Wladimir Klitschko on Saturday night? I think he did fantastic. He knocked Wladimir down, he got knocked down himself and he showed heart to win it. I was very impressed! Are you planning to continue fighting, and if so how long do you think you will go on for? I do plan to continue. Maybe a one or two more fights. Aside from boxing, what hobbies do you have when you are not training and fighting? Can you tell us what you are up to these days? I’m still training and really just looking after my family, especially my daughter.